Received quickly and intact! Well packaged. A remarkable telescope! Great deal, many thanks for excellent product! I love it!! I'm reasonably pleased with this telescope. The overall quality seems good. I only have 3 minor complaints, but bear in mind that changing these things would make this scope more expensive. First is the mount. While it's nearly all metal construction and really is a pretty nice piece, it still allows more "wiggle" than I'd like. I've never used an EQ mount, but I'm pleased with the operation of the Alt-Az mount. It's easy to use and works well. Second is the eyepieces, in particular the Barlow 2X. All the additional eyepiece lenses offer decent magnification, but I don't think they are of very good quality. The base 26mm is good, but the others aren't so great. Third is the red dot finder. It works ok, but I wish it had crosshairs in it, and really wish it was just replaced with a decent finder scope. There are a couple other little things I wish were different, but overall I think this telescope is a good value. Lunar viewing is spectacular and I've seen the cloud bands on Jupiter and the Galilean moons. I have been able to see the rings of Saturn with the 2x Barlow and 6.3mm Lens. It has decent quality glass. And is a bit unstable to zero in with. It has the capacity to see some clusters. A good addition to your lenses is a 8-24mm Lens to zero in on an object then have your more powerful magnification ready to slip in. by Eddie price, I bought the meadeinfinity 102 refractor seems to be a very powerful scope just need to buy new eye pieces The ones that come with the scope are very cheap , but like any other New telescope you always have to upgrade your eye pieces , I will probably buy the meade Zoom lens Which gives you a very wide field of view and You can't go from an 8 mm eye piece all the way up to 25 without changing eye pieces , I did some research on this sounds like a very good deal but other than that It is a very good scope and will recommend it to anyone looking to buy a good scope for around $200 you will not be disappointed so I hope this helps . For $200 open box idem this was an excellent purchase! I used it with my lumix gh3 to take nature photos up the canyon! Like a 600mm lens but more Croma than a 10000 dallor lens. But fun anyway, with get a good adaptor to legit attach my camera to it sometime and do some astrology ya know! : ) good purchase for the price! 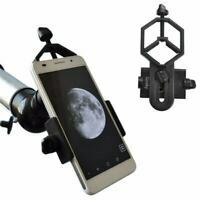 Just excellent, strong, robust, efficient and beautiful telescope. Actually use it for astrophotography and I am impressed. Well done Meade. Easy to assembly, easy to used. Very clear image, very good optics.